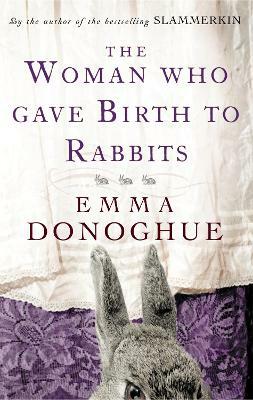 The Woman Who Gave Birth to Rabbits is a book of fictions, but they are also true. Over the last ten years, I have often stumbled over a scrap of history so fascinating that I had to stop whatever I was doing and write a story about it. My sources are the flotsam and jetsam of the last seven hundred years of British and Irish life: surgical case-notes; trial records; a plague ballad; theological pamphlets; a painting of two girls in a garden; an articulated skeleton. Some of the ghosts in this collection have famous names; others were written off as cripples, children, half-breeds, freaks and nobodies. The Woman Who Gave Birth to Rabbits is named for Mary Toft, who in 1726 managed to convince half England that she had done just that. So this book is what I have to show for ten years of sporadic grave-robbing, ferreting out forgotten puzzles and peculiar incidents, asking 'What really happened? ', but also, 'What if? Emma Donoghue is an Irish novelist, playwright and historian. Her second novel HOOD won the American Library Association Gay, Lesbian and Bisexual Award in 1997. She is currently adapting her novel STIR-FRY for Horizonline Films (Ireland).